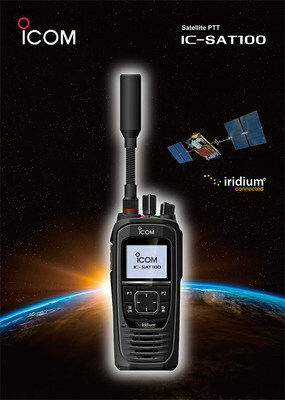 MCLEAN, Va., Nov. 9, 2018 /PRNewswire/ -- Iridium Communications Inc. (NASDAQ: IRDM) announced today that Icom Incorporated (Icom) has joined its partner ecosystem as a licensed Value-Added Manufacturer (VAM) and will be developing the world's first truly global push-to-talk-only (PTT) radio handheld. Based in Japan, Icom is a world-class manufacturer of two-way handheld radios and will harness their extensive expertise in the making of their first Iridium® handheld. This new device will be ideally suited for remote workers, first responders, global military, NGOs and other organizations in need of real-time communications throughout areas lacking ground infrastructure. Iridium PTT technology allows teams to remain closely coordinated with their headquarters or other field teams around the world, instantly, regardless of geography.